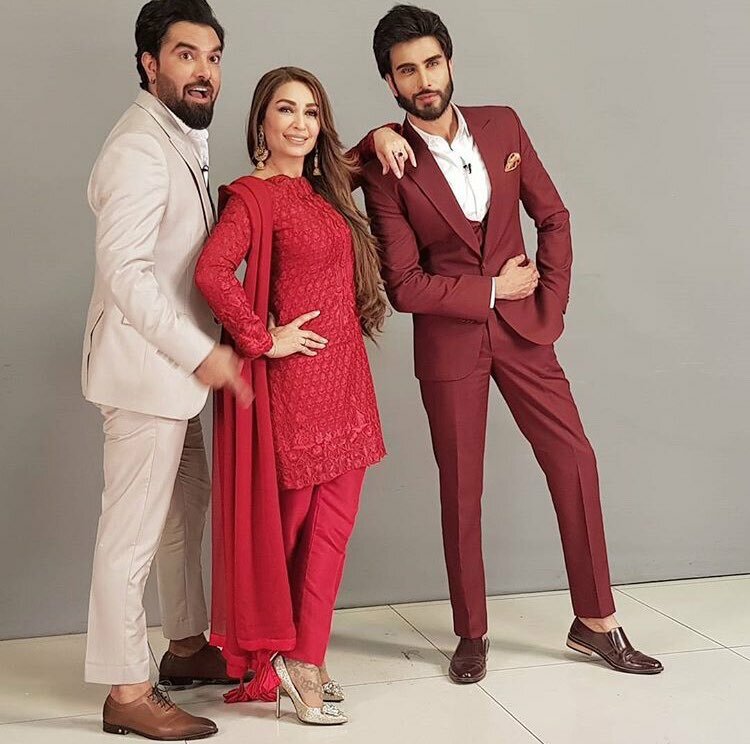 Web Desk: Recently, the photos of Imran Abbas Naqvi, Reema Khan and Yasir Hussain together are drifting on social media. These photos brought curiosity and excitement among the masses. In the photos, all the actors are looking stunning and stylish. They all are standing, wear formal and sophisticated dress. Imran and Yasir respectively standing on the right and left side on Reema, with holding roses in their hand. While the Reema can be seen in shock. 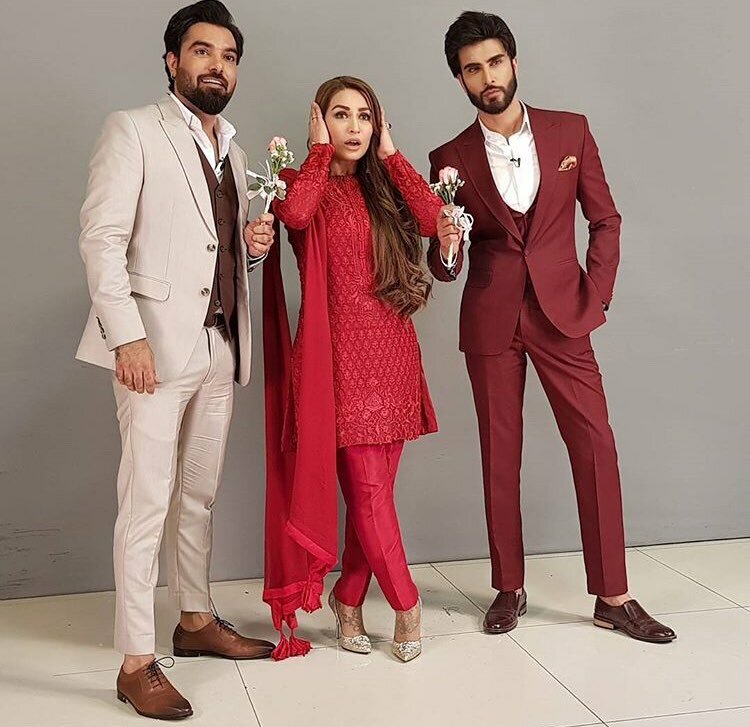 Have a look at the thrilling photoshoot of the actors. Are they trying to make love triangle? Whatever is cooking between them but we have high hopes for their next project.